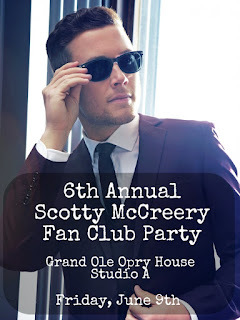 2017 Scotty McCreery Fan Club Party On Sale 2/24 10 AM CST! 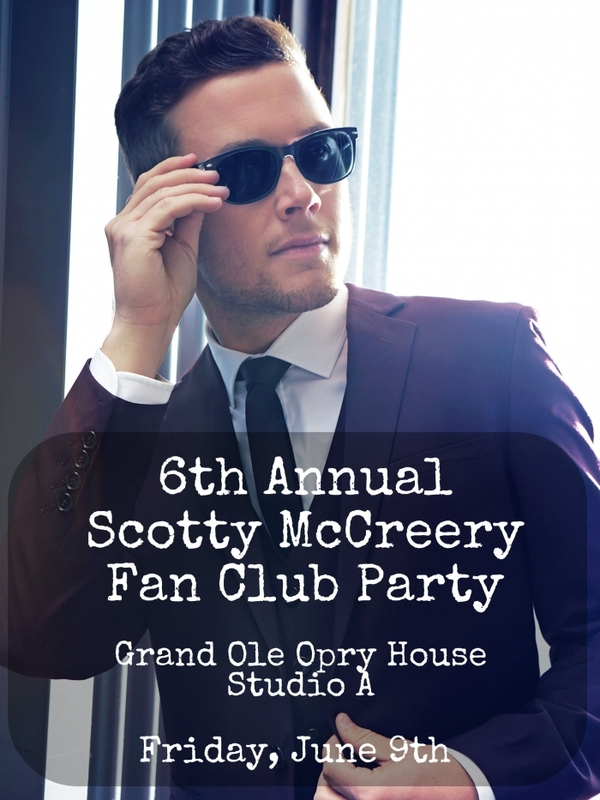 The 2017 Scotty McCreery Fan Club Party will be held Friday, June 9th at The Grand Ole Opry House - Studio A. Doors will open at 2:00PM and the show will begin around 3:00PM. Each member will be able to purchase up to 4 tickets. Tickets are $50 each. Members must present their membership laminate. Ticket includes party admission, mini performance, Q&A, food/beverage, surprise souvenir, and a photo opportunity with Scotty. Tickets go on sale Friday, February 24th @ 10:00AM Central Time. Click here to join the Scotty McCreery Fan Club ($20).